My little girl is going on a school trip to France next week and I can’t tell you how excited she is. 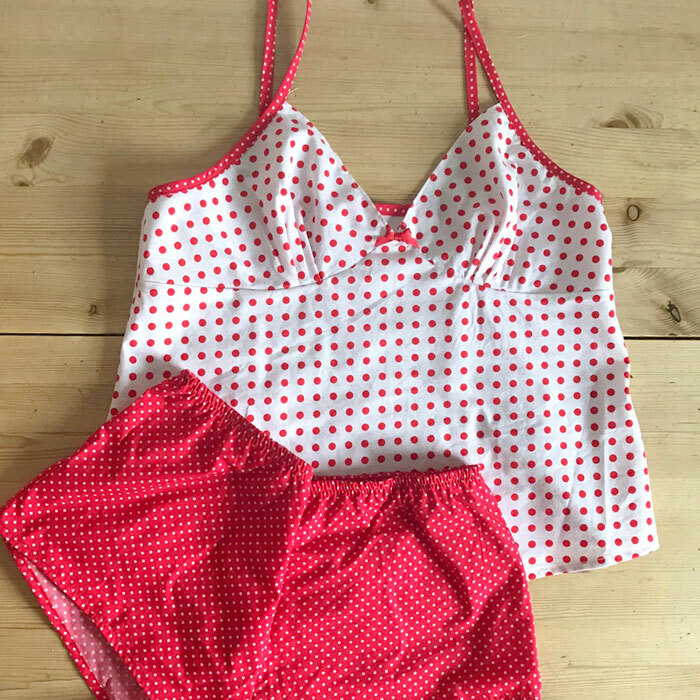 She started packing 2 weeks ago, against a detailed checklist and soon came to the conclusion that she was a couple of pairs of pyjamas short. The thought being that she can’t possibly allow her friends see her in the same pair twice! But rather than add them to the shopping list she asked me to make them for her so that she could choose the fabric herself. Oh how I love watching my obsession rub off! 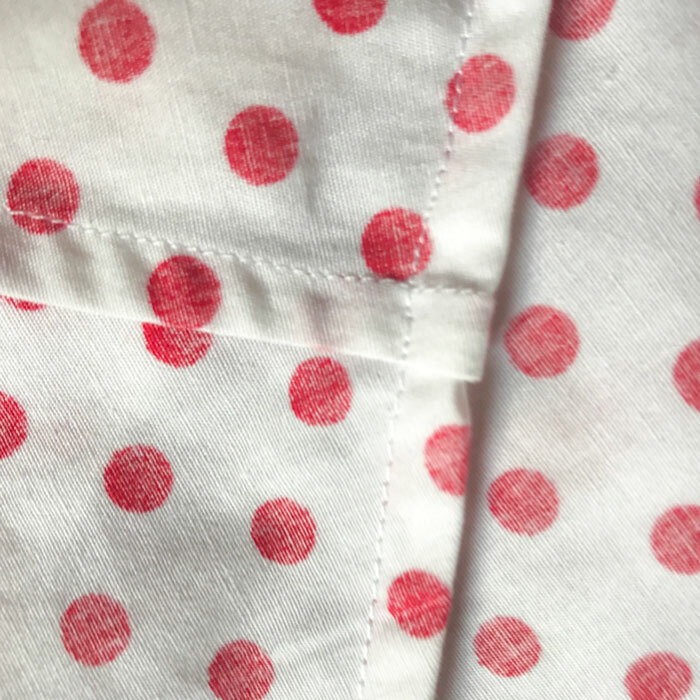 Finding good quality cotton jersey in a cool print wasn’t as easy as I’d thought, even with the Goldhawk Road up the road. But we struck sheep after a while and both fell in love with it. 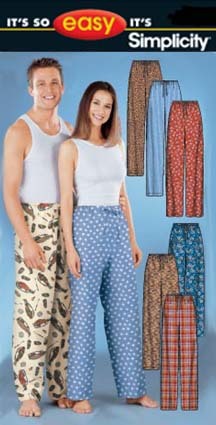 Especially at £3.99 a metre, which is all that’s needed for 2 pairs. 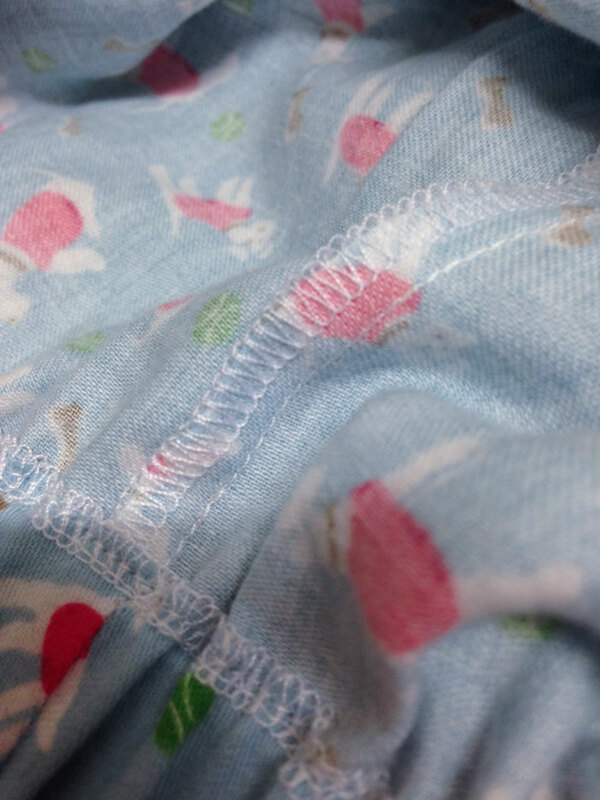 I used the stretch stitch throughout and overlocked the seams afterwards. I used a zig zag stitch for the hem as I still haven’t attempted to try the double needle! And Little Miss Ooobop chose the cute pink buttons which worked a treat. 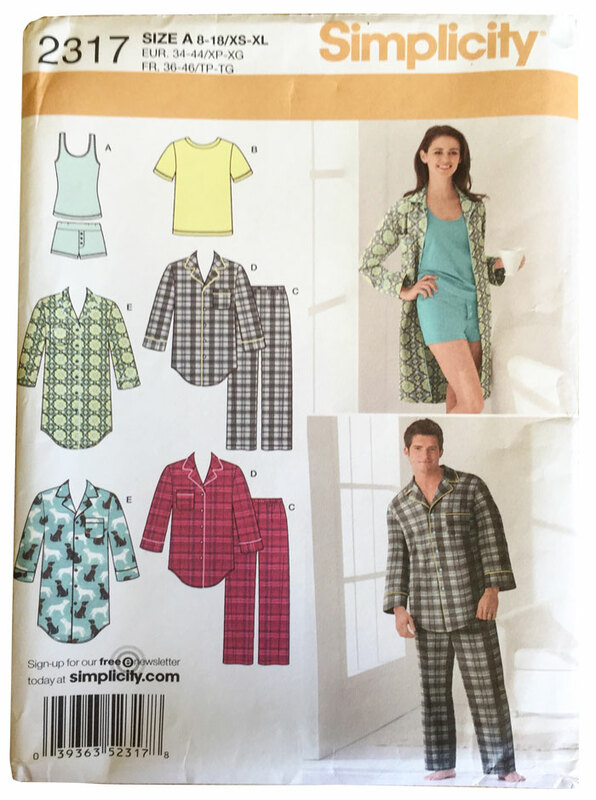 The pattern used was Simplicity 2317. Both pattern and instructions were simple enough though I’m not sure why the basting on the fly was meant to be unpicked. It’s not an operational fly. The buttons are purely for decoration. And yes, it is an adult pattern! Despite being only 10 years old, she’s long and thin and on my eye-level. So a size 10 was perfect. Wow. How did that happen?! 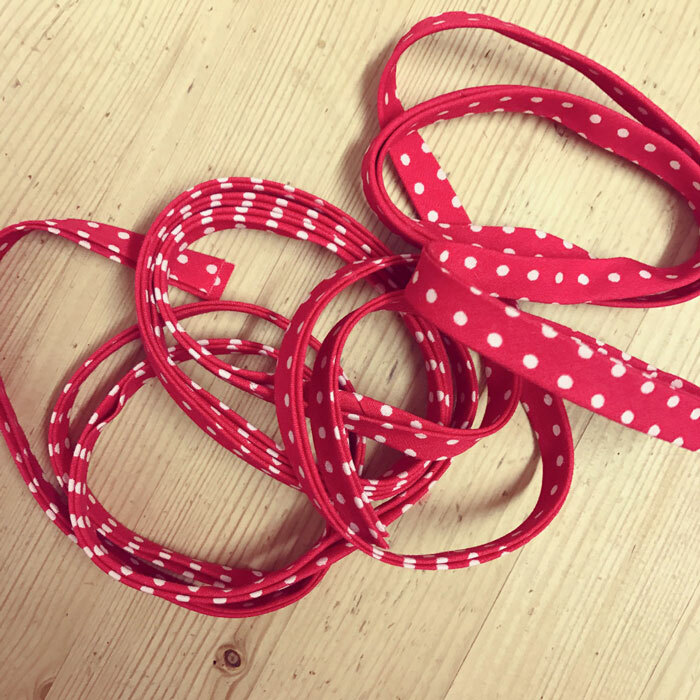 The only thing to watch is that the waistband is deeper than the 1″ elastic so before you stitch to secure in the side seams, make sure the elastic is positioned at the top of the casing. 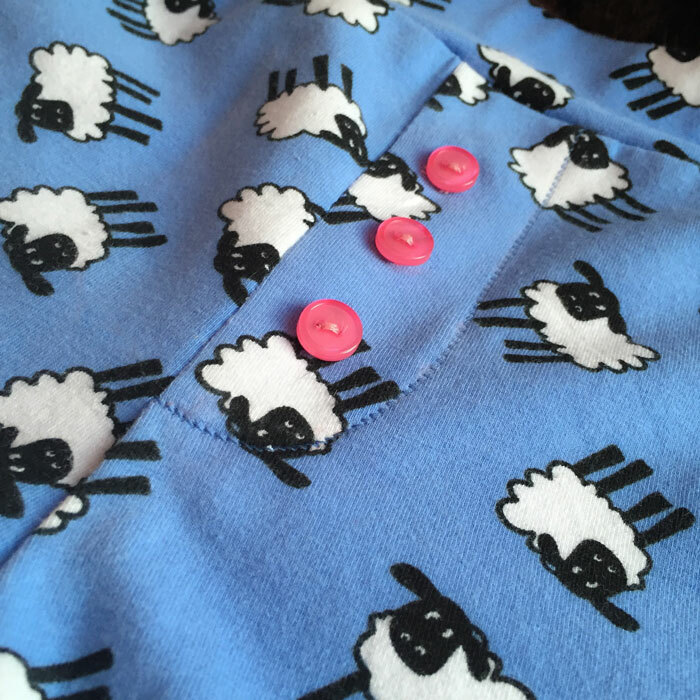 This is such a great little project for a time-short sewing fix and I loved making them. Next pair is scheduled for this weekend. And I may just have to seek out some more fabric to make me some too! 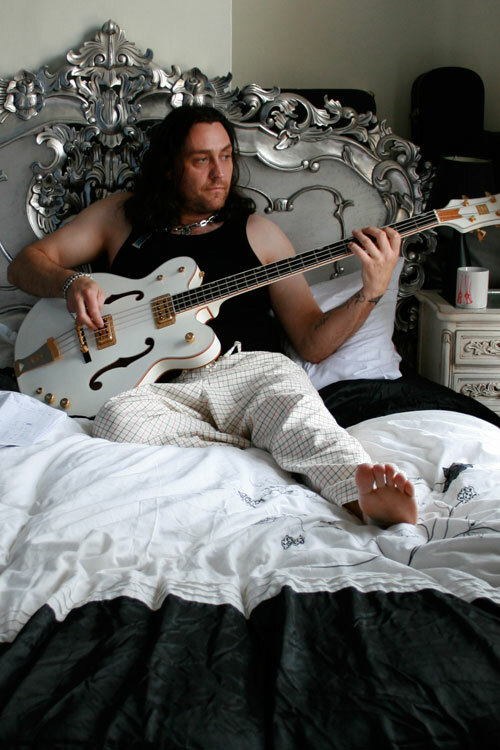 Rocking up, fashionably late for Karen’s pyjama party but with good reason. This pair of pjs was one of Mr Ooobop’s birthday pressies and couldn’t be properly revealed until yesterday. I sewed them in secret and so I was over the moon when they were so gratefully received! 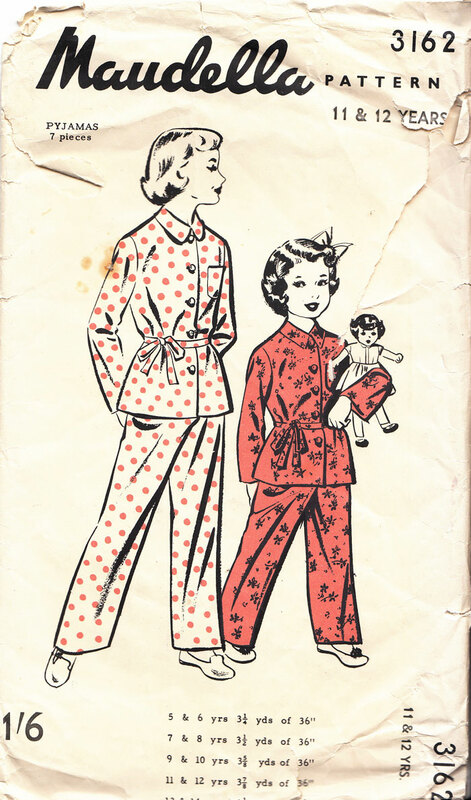 This was my first sewalong and my first pair of pjs… and my first time using a side-cutter! Karen did a great job of providing a stress-free and leisurely sewalong. Just the ticket for someone who, like me, has taken on far too much recently… but who can’t resist an extra sewing project! And hey… it helped to solve what to buy the most-difficult-to-buy-for boyf, for his birthday. 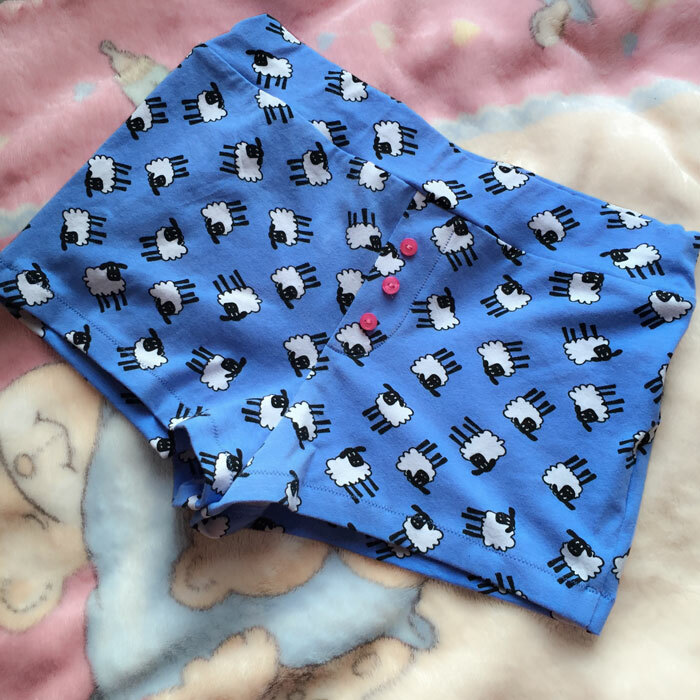 I started the project armed with lots of tracing paper and an old pair of pjs from ‘Marks Expensives’, intending to draw round them and create my own pattern but this proved to be trickier than I thought so I headed to Jaycotts sewing patterns for an easier option. 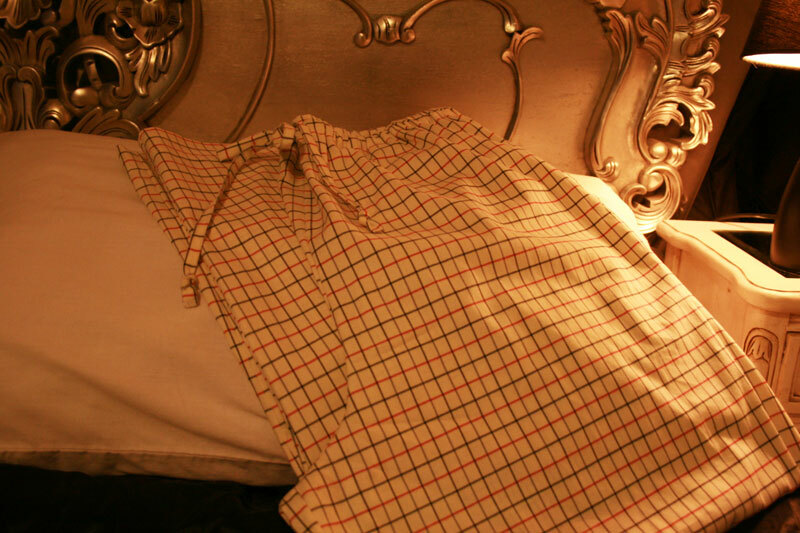 I don’t know if you’ve ever checked out the envelopes in the general nightwear section but there are some hilarious options even ones that include doggie loungewear! I set out to use Simplicity S9871 but when I realised how big that one pattern piece was, I changed my mind! My kitchen table just wasn’t big enough! So I decided on Simplicity S2317 instead, only real difference being, it had front and back leg, with side seams. But what I did like about S9871 was the drawstring feature. It just involved adding a couple of vertical buttonholes at the front, before making the casing. The drawstring was threaded through after the elastic. Turning a 1cm wide tube of 66 inch fabric inside out, I’m sure took longer than making the pjs themselves! 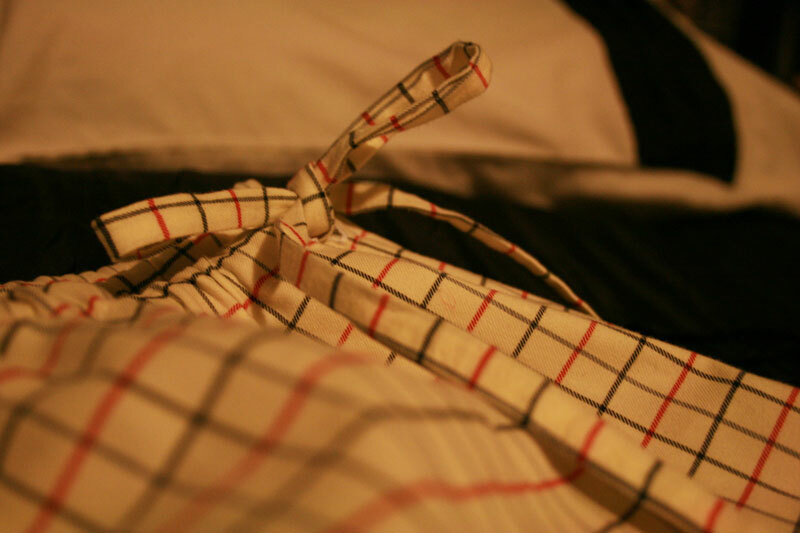 I used a lovely brushed cotton shirting fabric, cream with red and navy checks. 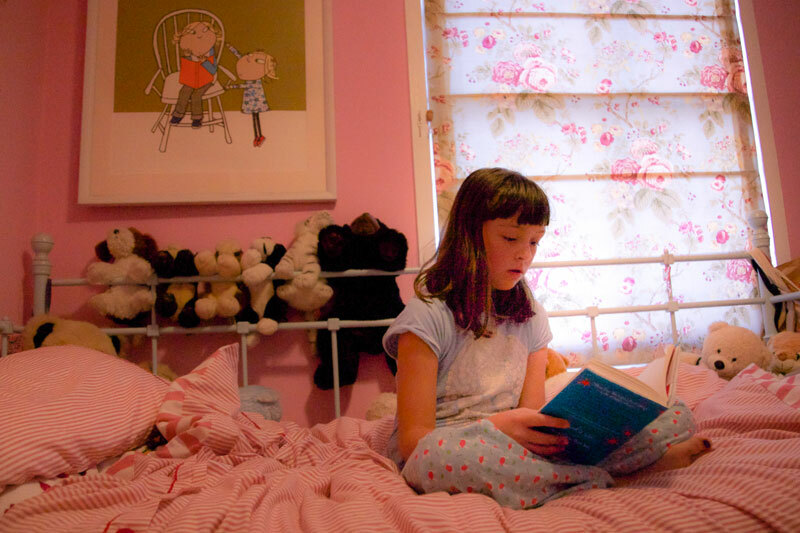 It feels so lovely and reminds me of my bedsheets when I was little! It sewed up beautifully. I enjoyed using my side cutter foot for this project. It acts like a serger and cuts 1cm of fabric as it ‘overlocks’…genius! The only not-genius thing about it was unpicking an overlocked seam when I realised I’d sewed wrong sides together, doh! Wont be making that mistake again!